Georgia State Representative Allen Peake (R-Macon) has spent the last year trying very hard to brand himself the “medical marijuana politician”, vowing to fight until Georgia’s most vulnerable patients, children with seizure disorders, are able to gain unfettered access to CBD-rich cannabis oil. In fact, so dedicated to this issue is Mr. Peake that he established a nonprofit organization in order to cover relocation expenses for Georgia families who needed to move to Colorado to treat their children last year after his CBD bill failed at the last hour in the Senate. House Bill 885, dubbed the Haleigh’s Hope Act, was to be a watered-down medical marijuana law that would have allowed hospitals within Georgia’s university system to conduct research trials and develop treatment regimens for seizure patients. Haleigh’s Hope act would have benefited a handful of Georgia citizens, yet long-time marijuana activists stood behind Peake, seeing his legislation as a very small yet important step in beginning a meaningful conversation on cannabis law reform. HB885 was wrecked by last-minute deal making, and since that time several sick Georgia children have died without the treatment the bill could have provided. 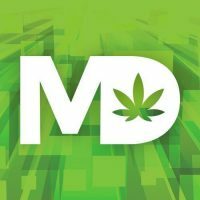 So medical marijuana patients were once again excited this past November when Rep. Peake pre-filed legislation that he promised would be better than 885, which would expand the number of covered conditions, remove the research requirement and allow for in-state commercial cultivation of cannabis with high CBD content. This bill, while far from perfect (no home cultivation, very low THC content, etc), was an even BETTER first step than Haleigh’s would have been. Peake said he was going to bring the cannabis refugees home from Colorado and spent the better part of December stumping for the new bill based on that one, single promise. Just before the 2015 legislative session began Peake was summoned to the Governor’s office, where he was told that he would be dropping the idea of cultivation and instead focus on decriminalization. In other words, Governor Deal told Peake he would support the idea of not arresting parents who happen to have magically acquired cannabis oil, but under no circumstances would the devil’s weed be grown in Georgia. Even though his bill would have likely had overwhelming support in both the House and the Senate, it would have presented Deal with quite a political hot potato since vetoing the bill in order to continue licking the boots of GW Pharmaceuticals would have resulted in an angry backlash from parents of sick children who are already sick of being used as political collateral. So as gentlemen-politicians do, Peake and Deal agreed on the order in which each would be able to begin profiting from marijuana in Georgia. Despite the fact that Nathan Deal has somehow managed to dodge multiple threatened indictments and FBI investigations as a result of his corruption he is still the governor so he gets to go first. This is pretty clear based on the speed with which Peake cleaned himself up after his meeting with the Governor and then headed for the closest camera to sell the new idea. Not surprisingly Georgia medical marijuana supporters are bewildered and angry. After promising them that he was bringing them home, Peake managed to alienate a large portion of his fan base by acquiescing so quickly to Deal’s demands. “I don’t think it’s right having us go to another state just to get the oil and risk prosecution just to bring it back to kids who need it the most. I don’t think it’s right,” Andrew Bechtol told Atlanta’s NBC affiliate. Bechtol says his 11-year-old son’s health could improve tremendously if only he had access to medical marijuana. Despite the fact that smuggling marijuana and marijuana products across state lines is a crime, therefore making it an act of CRIMINAL rather than civil disobedience, there is little question that Representative Peake is telling the truth. I have no doubt that he would get on an airplane tomorrow and bring cannabis oil back by the quart to alleviate the suffering of sick children in Georgia. But what bewilders me (and a lot of other people) is why he would be willing to go to jail but not have the balls to stand up to the bullying and politics-for-profit that Governor Deal insists on continuing to play? How can one be willing to face jail and the loss of their life’s work in order to avoid standing up to a disgusting, corrupt bully like Nathan Deal? Shame on Allen Peake, Nathan Deal and every other Georgia politician that continues to allow sick people to suffer while they play politics. Great article! But I don’t think there is a difference between civil and “criminal” disobedience. A strange clarification for you to make. That’s a really good point Jon. So when I think of civil disobedience my mind immediately focuses on things like non-violent resistance and things of that nature. While your definition of civil disobedience is certainly correct, to apply it to someone who is committing a crime (whatever the reason) AND concealing the crime would, in my opinion, not be a good application. Now, were Mr. Peake to fly to Colorado, lie on the agreement he signs not to take the oil out of the state and then pull the oil out of his bag at the airport and announce what he was doing then I would agree with you. THAT would be civil disobedience. But until that happens he’s little more than a smuggler who doesn’t mind risking jail if he gets caught, right alongside everyone else that already does it. Fantastic summary of events. I would add that Peake probably isn’t making these empty promises about smuggling oil over state lines to win back favor from the parents of these sick children. The parents who have relocated understand better than anyone else that, to acquire the oil or any cannabis medication in another state, you must (a) be a patient or a patient’s guardian, (b) be a resident of that state, and (c) often sign a legal document promising to not leave the state with your medication (because that’s illegal under federal law). Peake can’t satisfy ANY of those conditions, so he has a 0% chance of getting the oil. If Peake wants to break the law, all he has to do is drop some seeds in his backyard, this spring. He’ll save on gas, and he won’t have to track down someone in another state willing to join his criminal conspiracy. Allen Peake is making these “civil disobedience” statements for everyone *else* — he wants to still look like a hero to the public while dashing the hopes of the relocated families. Those families were present in force at a demonstration at the Golden Dome, this week. Peake was not able to attend due to a “personal conflict,” which I expect is true. Getting called out for breaking a promise to the families of sick children certainly sounds like a personal conflict — a conflict of morals and character, but a conflict nontheless. Despite knowing how limited HB885 was, I backed it because I didn’t expect Peake to get up to speed with the literature and overcome his preconceived notions about medical cannabis during the short 2014 session. Well now it’s been a year, and in spite of those study commission hearings this summer, anytime Peake’s face was in a camera, he would double down on his marijuana prejudice. Peake spent months trying to demonize THC instead of educating himself, which is why I don’t feel any sympathy for the man. He was setting fire to his own issue because he thought that’s what conservatives needed to hear him say, which tells me POLITICS was the first thing on his mind, not sick children. Nathan Deal is a corrupt scumbag, Peake is an ignorant coward, and they are both the shameless political opportunists responsible for ALL the suffering in Georgia that could have been prevented, this year. I agree with much of this, but Mr. Peake did have a conflict, His Mother died. Rite I agree. I am sick and I need it. But the flower’s the oil doesn’t help I had to move to stay alive now I an back fighting for my life. All because of doctors. Now it’s either have the THC. Or die why do I have to suffer and die?, and all I need is the whole plant.and I will be fine.why are other people better then me if they only pass the oil. It don’t help me and a lot of other people. It’s a shame that we were blind sided by the way our representatives of the people refuse to listen to the what the people really want. I’m a patient that would greatly benefit from medical or legal Marijuana and I would appreciate my government to let me decide what I want to take to relieve pain. It is obvious Politicians Do not want to help the lives of those who are DYING. Why should a politician have this much authority over private lives of citizens. This is ludicrous! We should be saving lives, not worry about sending people to jail/prison. SAD SAD SAD! I think you make a great point in that the politicians who have screwed this up so badly by playing politics, although they’ll never be held accountable, should feel 100% complicit in the death of these children. They certainly aren’t concerned w/ what is best for the state or the people they represents…only what is best for their pockets & their lifestyles! I still say half or more of the house probably uses marijuana. They should all be tested and if positive, lock their sorry selves up and throw away the key. Let them see how painful it is, especially at their age. Barrow county has so many people in jail because of less than an ounce. Hell you have to buy it off the streets. I for one don’t use it but would. I can’t take medication because of my liver and 4 connective tissue diseases among other elements. And fibromyalgia…… I hope and pray they have ailments similar in the future or NOW. This is not a free country. I say we take it back. Fire them clean the house out. Hell if nothing else let the doctors here prescribe it and let us order it. Give us a legal permit just in case we have it on us so We don’t go to jail. Another state would love more tax money. Good idea since our government will only help to continue to harm us. End of rant. They don’t listen anyway. Nathan Deal…his name says it all! He is in office to make deals that benefit his own pocket. I suffer from chronic kidney pain, liver disease, blood sugar over 500+ for going on seven years now. Then just yesterday, the “C” word! I am too sick to keep running to the street to buy my medication, and risk arrest! OUR so-called representatives are a joke! They make promises that they never intend to keep! If they would take their blinders off they would see the economic boost that legalization would bring the state. I guess when Governor Deal figures out a way to put some of that tax money in his pocket, things might change! murderers!!! This is the Holy Tree of Life these satanistic sold out statists are denying, just as predicted in the Book of Revelations and the same oil used as key ingredient in the Holy Anointing Oil of Moses and Jesus.